← Moving Furniture: How to Do-It-Yourself Without Hurting Yourself! Have you ever gone into some obscure, shady little auto repair shop for a relatively minor issue only to discover that you’ve supposedly been playing Russian roulette every time you’ve pulled out of your driveway for the last few weeks? Or perhaps you’ve received an e-mail or a phone call from someone alleging that your computer is infected, and offering to exorcise the viruses if you’ll just allow them access to your computer? The unfortunate truth is that there are snakes in the grass of every professional field, and handyman services is certainly no exception. In fact, it’s a minefield of scam artists, one-man basement operations of questionable credibility, and mysterious men who appear out of the blue to offer their ‘services’ unsolicited. It is of paramount importance to know both the best places to look and the things to look for when trying to hire an honest, qualified professional. We hope the information provided here will help you understand the difference. As in most other professions, the con artist will often makes the first move. Take the case of Billy Smiley, an elderly retiree in Indianapolis who lost $76,000 after three men appeared at his door and told him that there were severe issues with his roof. “They made it seem like they were doing me a favor,” he said. Before long, the men had destroyed his roof in the course of the ‘work’ he paid for and felt that it was too late to back out of making further payments to the men. Unfortunately, handyman scams like this are anything but uncommon. ‘Informing’ you of supposed problems they’ve observed from outside your home is only one of many ways these handy-vampires will persuade you to let them in. Others will use the flattery approach, telling you that they were just passing through the neighbourhood when they saw your home and found it so impressive that they’d like to perform some work on it so they can use it as a model for their services. No matter what their story is, don’t be deceived by the appearance of sincerity. These snakes have told the same stories to countless different people, and have had enough practice to fly under the best intuition radar. The best way to protect yourself from these handyman scams is to simply avoid them by always being the one to make the first move. Take the contact information of the mysterious ‘good samaritan’ and tell them you’ll call them if you decide to take them up on their offer. If they attempt to pressure you into making an immediate decision, then that makes it even more likely that they aren’t what they claim to be. Never sign contracts on the spot and never let them inside your home. They may well be trying to assess your home security system in preparation for a burglary, and identifying valuables that they’ll later steal. 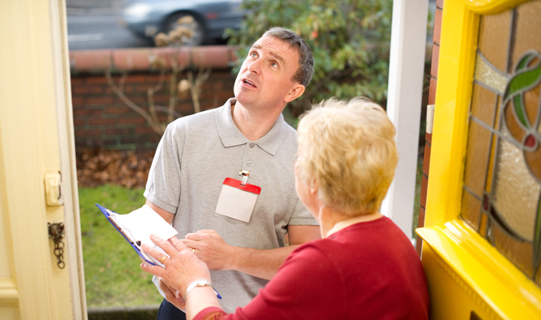 Odd Job Handyman Services will never have people at your door or on your street trying to pressure you into booking a project. You call or book us. We advertise our existence primarily through the reputation resulting from our unmatched standard of quality and efficiency, and our honest, transparent pricing. Our glowing reviews at Homestars speak for themselves, and you should always take a look at such sites before deciding to call any professional – especially one who approached you. This is no basement operation! Take a look at our mobile workshop, which transports our team from project to project and stores all of the supplies necessary for each one. It is virtually impossible to miss the name and phone number of our company if it passes by. If the mysterious handyman “passing through your area” is doing so with an unmarked vehicle and has no visible connection to an accredited reaction, this should give you additional cause for concern. To avoid suspicion, many con artists will claim to be associated with your heating utility, your hydro company, or something similar in order to give their handyman scams an air of legitimacy. No reputable company will send its employees to pay surprise visits to your home. The absence of prior warning alone is absolute proof that the person at your doorstep is not who they say they are. In any of these scenarios, always ask for proof that the mystery ‘contractor’ – if you’ve found them convincing enough to even consider – is licensed and bonded for protection from damages and theft. Odd Job‘s team is fully licensed, bonded, and insured, and you shouldn’t hire any company that cannot say the same. 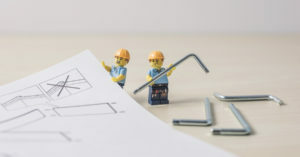 The prime objective of all handyman scams is of course to rob you financially, and they will want to complete that project – not yours – as fast as possible. Anyone asking for most or all of the payment before the project has been completed is very likely planning on vanishing with your money just as abruptly as they appeared to ask for it. You should be very suspicious if they want a cash deposit. This isn’t to say that deposits themselves are red flags – a legitimate contractor will ask for a deposit as well, particularly for larger projects. The difference between con artist and contractor here is all about exactly how much they’re asking for, and how they’re asking for it as well. Agree upon a reasonable payment schedule in which a deposit or deposits will be made during the course of the work, but ensure that at least a large portion of the total will be paid afterward. Asking for cash up front and then pulling a disappearing act is only the crudest strategy these fakes will use to separate you from your money. Most will attempt a far more elaborate handyman scam in the hopes of a bigger payout. In some cases, such as that of Billy Smiley, they are working with accomplices and may actually appear to begin ‘working’ on your house. Sometimes the accomplice isn’t another fake contractor, but a lender with whom the fake contractor just happens to be acquainted – a fact that is brought up immediately after you tell him that you aren’t sure you can afford his proposal. Before long the lender has you signing confusing contracts that result in a large home equity loan with a stunningly high interest rate and exorbitant fees. Of course, the fake contractor is working for or with the lender. Since papers have been signed, the fake contractor likely will do some work on your home. Don’t expect that work to be up to professional standards or even complete, however, as the man has already achieved his objective. If your project requires a loan, always secure one through your own contacts and never through the contractor. Again, always make the first move. Relying solely on your intuition is a strategy that these con artists will be sure to use against you. Ask questions, check references, and don’t be bullied into anything. 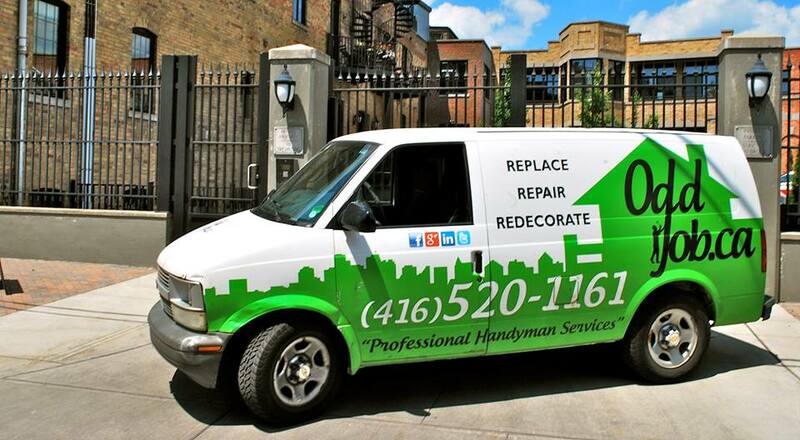 Rigidly abiding by simple rules like these will help you avoid handyman scams. This entry was posted in Blog and tagged handyman scams. Bookmark the permalink.